Visual Stress (Meares-Irlen Syndrome) is sensitivity to visual patterns, particularly stripes. In some individuals this condition can cause learning difficulties and problems with reading, despite the person having normal vision. Dyslexia is a term used to refer to reading problems that are not due to poor teaching. It is also often associated with spelling difficulty. Visual Stress is NOT the same as dyslexia, but is more common in those who are dyslexic. People who fail to read correctly because of Visual Stress are frequently misdiagnosed as being dyslexic. This is why it is vital that Visual Stress is detected at an early stage. It can occur in non-dyslexic people too, becoming more apparent when intensive reading is undertaken, for example, when studying for exams. Migraine attacks have many triggers factors; however 40% may be visually induced by flickering light, patterns, or reading. These attacks can be helped with precision tinted lenses. If you or your child has learning and/or reading difficulties, our School Vision Assessment would be an ideal way of exploring the various factors that might be contributing to the problem. Our practice has recently acquired an Intuitive Colorimeter. 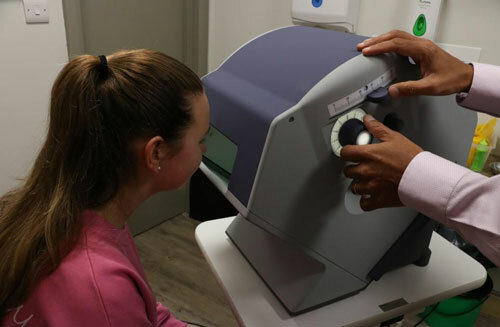 This is a simple instrument which is used to identify the exact colour precision tint that may give relief from perceptual distortions in Visual Stress. 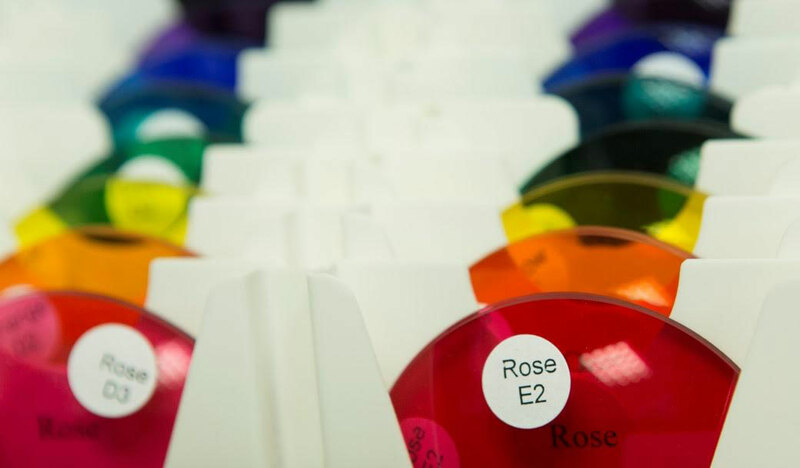 Solutions such as glasses, eye exercises, coloured overlays, as well as precision tinted lenses are all ways of improving the reading performance of the individual. These often result in greater fluency and comfort when reading as well as providing increased self-esteem.